Constance Scharf, LCSW, BCD, is a senior faculty member of the Ackerman Institute for the Family. For over 25 years she has supervised students in Ackerman’s Advanced Family Therapy Externship Program and in the Live Clinical Supervision Program. Ms. Scharf was a co-founder of the following projects at the Ackerman Institute: Couples and Infertility, Couples and Remarriage, and EMDR and Couples. Ms. Scharf has presented workshops on couple therapy and infertility nationally and internationally. She is the co-author of the book, Couples Therapy for Infertility, which delineates a therapeutic approach for working with couples facing the crisis of infertility. She co-authored chapters in Couples on the Fault Line and Handbook of Primary Care Psychology; and coauthored articles in the journals of Family Systems Medicine and Family Process about therapy with couples struggling with infertility. She has been an instructor in Psychiatry at Albert Einstein College of Medicine; Instructor in Family Therapy at New York College of Medicine; and currently is an adjunct teaching assistant in family therapy at Mount Sinai in the Department of Psychiatry. 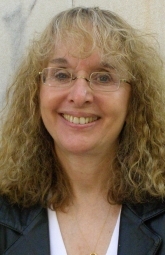 Ms. Scharf is a member of American Family Teachers Academy, and American Association of Marriage and Family Therapists. Ms Scharf has received advanced training in Emotionally Focused Therapy, EFT, a couples therapy that enhances connection and intimacy of the partners and fosters secure bonding. She maintains a private practice in Manhattan where she treats individuals, couples and families with diverse clinical problems.